3000+ thanks and happy holidays! As you might know we had quite a “rollercoaster year” and now I’m finally ready to break the silence. I’d like to thank you for staying with us since 2015 and for all your trust until now. It has been a huge pleasure being part of over 3000 super creative Playable campaigns. We have featured the best campaigns on our website in the success stories section, but trust me — it’s just a beginning and I hope that you’ll be part of our shared success story. After a major restructuring of our team in summer, I have spent many hours revising our strategy going forward. Gamification and playables is still relatively new to most of advertisers and agencies and it’s rather hard for everyone to assess the risks and return on investment, thus the process of creating and launching a new campaign took regularly a while. 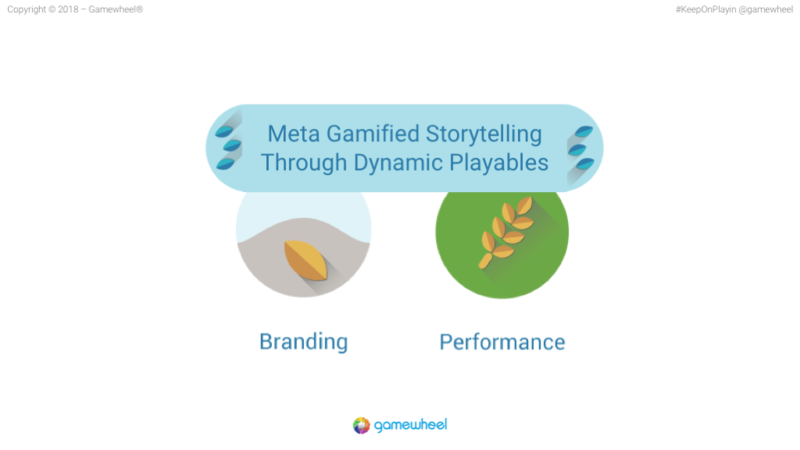 With Gamewheel we’re on a mission to become the leading Playables platform, providing measurable & premium interactive engagement. Thus, we have to reduce this complexity to democratize access to this premium format. 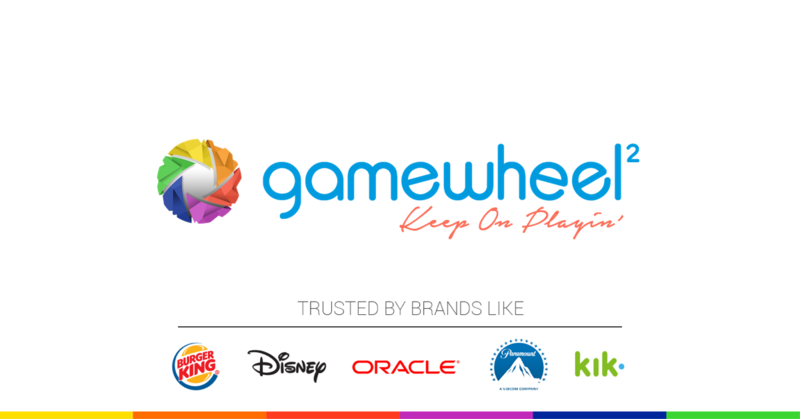 We have verified the new strategy with selected brands and trusted media partners and now, I’m happy to announce the launch of Gamewheel 2. We will extend offer offering by Playable media starting 2018 and will focus on Playables managed service first. As of now we not only fully support the increasingly popular MRAID2 Playables format for programmatic media trading on interstitial and rewarded ad placements, but also provide managed service for Playable media buying and managed campaign service. All this will allow us to provide all our customers and partners with a new simple model with guaranteed & measurable engagement where we take all the risk of creative content production and optimization and you just pay for the Plays (Cost-per-play, CPP). Zero risk, one simple cost figure to agree, and tons of engagement guaranteed. How cool is this? You already have a trusted media partner and prefer to work on a fix-price campaign budget? No problem at all! We’ll continue providing Playable MRAID2 tags, mini-games and gamification consulting or what have you. But to show our dedication to our mission we’ll also provide your with some recommendations for optimization based on experience, backed up by unique engagement data to ensure best end-to-end performance and maximize the ROAS and ad experience. PLAYABLE MANAGED SERVICE. If you’d like to just continue gamifying your organic and native communication and need playable content you will not be able use the SaaS service for a period of time. Instead, you’ll profit from our newly launched managed service offering. Just send me a short briefing and I’ll personally ensure that your campaign will get the best resources and attention. SaaS SERVICE RELAUNCH. We will temporarily disable your existing SaaS logins, effective 4 Januar 2018 and provide preferred service to any existing customers until the full relaunch in 2018 to ensure seamless transition. We will onboard you onto the new platform based on your needs – register on the Gamewheel 2 SaaS waiting list and provide more info to help us to understand your needs. IMPORTANT: We have developed the new Gamewheel 2 platform from the ground-up to fulfill the highest requirements and scalability. Thus, it will not directly support content built on the existing platform, but it will be even easier to recreate existing games with the new platform. In case you’d like to keep your content online during the relaunch period, please fill this form out with the Gamewheel campaigns you’d like to be transitioned. We will get back to your shortly and help you to ensure the continuity. NEW MEDIA OFFERING. We’re very happy to announce that we now offer flexible paid media managed service focused on Playables, ranging from social media to RTB channels. We support all typical charging models to let you choose which risk you feel most comfortable with while achieving your goals: from typical CPM impression-based model to performance-driven CPI/CPA models. CPP MODEL. 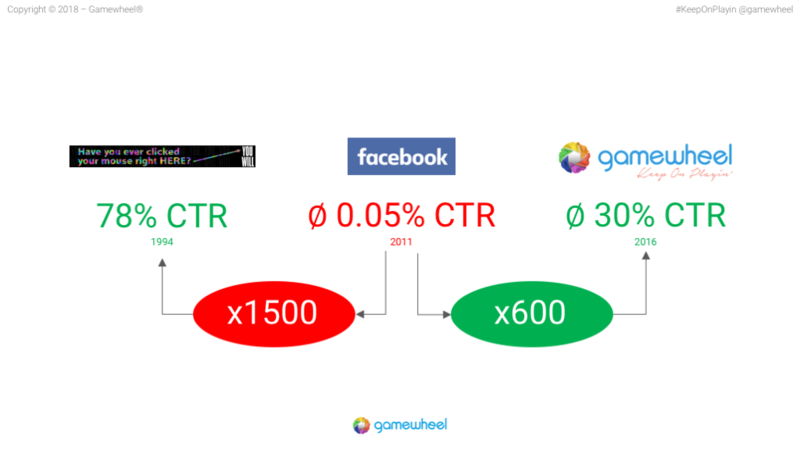 Gamewheel is the only platform where you can buy Playbales media based on the innovative to Cost-per-play (CPP) with guaranteed maximum play costs as well as unique Cost-per-Play-Time (CPPT) model which is comparable with TV, but has a lot of advantages. Comparing to passive TV media, it’s guaranteed that Playables are providing interactive, dynamic and most personal engagement. You don’t have to forget about TV media, it’s there to stay. Although, through our planned support for programmatic TV channels in the future, you will get a truly Omni-channel interactive campaign experience across all media channels. Enjoy your holidays and I can’t wait to hear your thoughts on our way forward and how we can help you reaching your goals in 2018 faster. 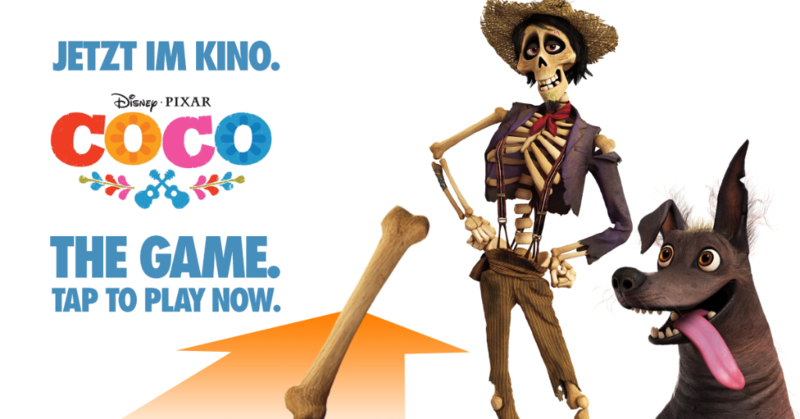 We are proud to present our latest Disney Coco Game campaign for the brand new Disney Pixar movie. The game is leveraging the basketball mechanics in a very creative way and offers a leaderboard where best players can win free tickets to the theaters in Germany. The game was loved so much that UCI Kinos decided to embed it on their new website. Check it out!